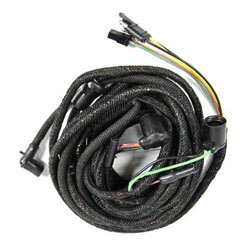 These Tail Light wiring harness helps in connecting various parts of the two wheelers. We are also dealing in Tail Light Wiring Harness which we are given to our client. In line with clients' diverse requirements, we are involved in providing an optimum quality range of Tail Light Wiring Harness. We provide exquisite range of Tail Wiring Harness made with the technical assistance from South Korea. These are manufactured using high quality raw material and are used for doing the tail lights of various commercial vehicles. We assure the timely delivery of our products to our clients.